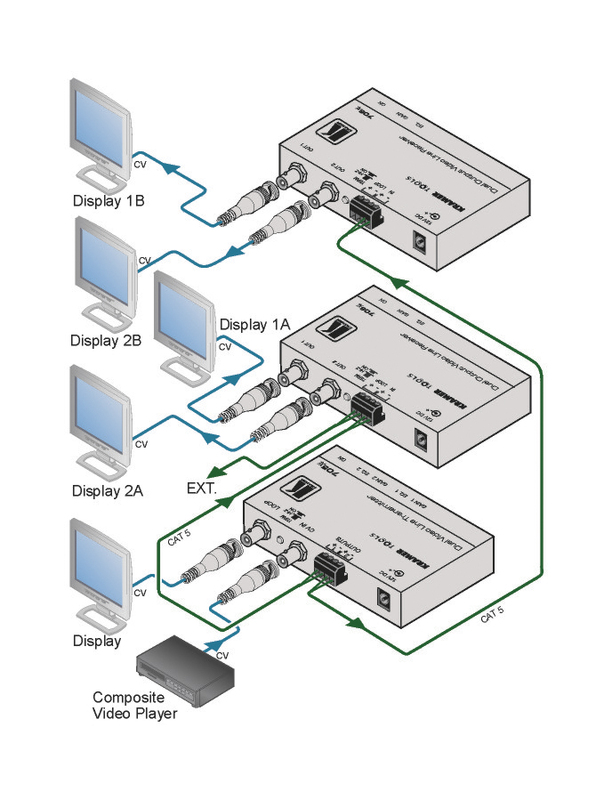 The 705xl and 706xl are a twisted pair transmitter and receiver for composite video signals. The 705xl converts a composite video signal to two twisted pair signals and the 706xl receiver converts the twisted pair signals back into two composite video signals. Twisted Pair Input/Outputs - Terminal block connector. System Range - Up to 1000m (3200ft).